Cloud connected means a cloud database automating document management and collaboration. This will be a hosted solution at first but there are plans to offer a private cloud option that runs behind the firewall. Inviting users to collaborate is free through the SwYm community and they do not have to have a license of Mechanical Conceptual. The cost will be $2988 USD ($250/mo) *unsure if this will be offered in a monthly payment plan but was mentioned on stage. Resellers will begin selling it on April 2, 2014. 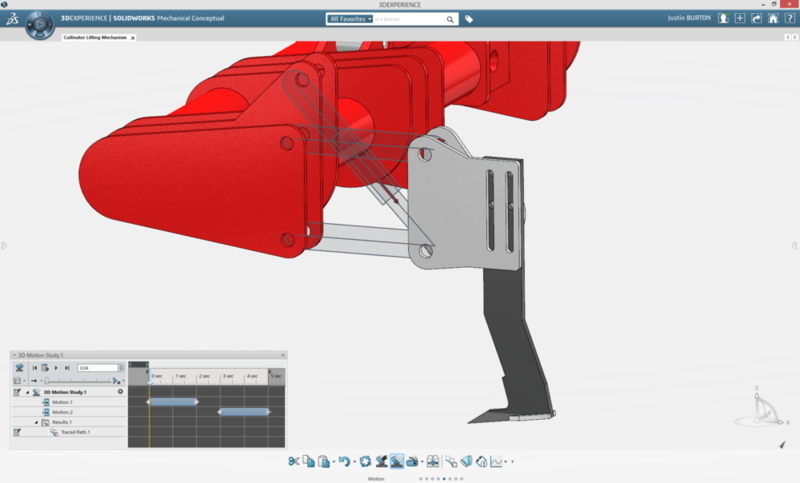 Many of these questions were being asked when Mechanical Conceptual debuted at last year's SolidWorks World. Today they also interviewed four of their "lighthouse" testing group and they explained how it fit into their workflows for concept design. One of them even said they were opening 56,000 part assemblies in 1/3 of the time of SolidWorks. What operating systems will SWMC run on? Since this is not just a flimsy thin-client, will it run on Windows, Mac, Linux? What about mobile platforms? What happens when the service is terminated? How to I get my data? I liken this to Google Takeout, an initiative to make is easy to take data out of their services.